It’s all good. Having an organized workspace feels good. And that’s just the start. Employees in workspaces designed around their specific needs and work styles aren’t just happier, they’re also more productive. With Organizational Worktools, everyone from today’s mobile workers who share temporary touchdown spaces to individual employees occupying the same workspace on an ongoing basis can customize their workspaces to adapt to their needs—making all the difference to them, their work life and their workplace. Slatwall extends the opportunity configure worktools in an infinite number of ways. With so many options, users have the ability to create personalized spaces, tailored specifically to their needs. Slatwall can be stacked for multiple layers of storage. It also provides horizontal and vertical capabilities for worktools. 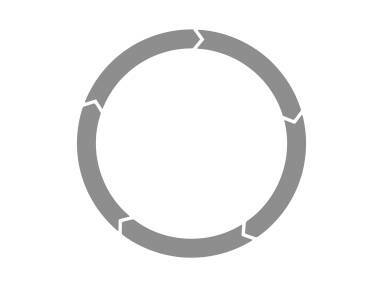 Add Slatwall Cable Rings to keep cables bundled together and out of the way. And if you’re looking for use with freestanding tables, Slatwall Stanchions are ideal. Utilizing every inch of space is easy with SlatRail. SlatRail offers users the ability to optimize the use of vertical space in the office environment. 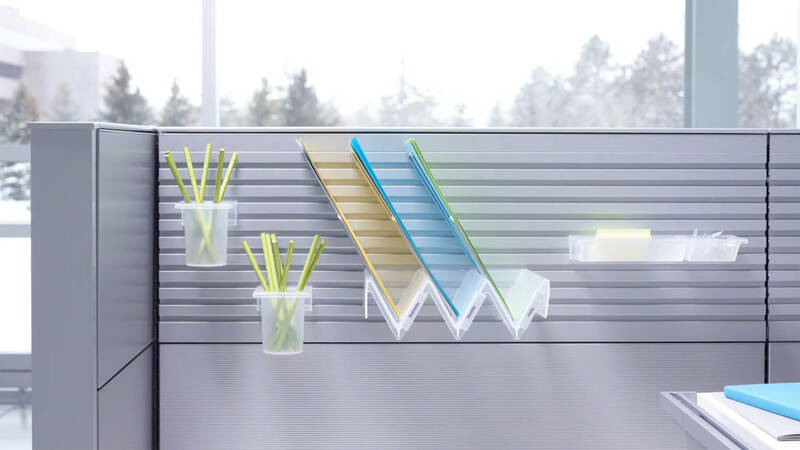 Slatwall can be stacked for multiple layers of storage or display and provides horizontal capabilities for details Organizational Worktools. Get vertical support for SlatRail by mounting SlatRail Stanchions directly to the worksurface. SlatRail and Slatwall are the physical backbone to our line of Organizational Worktools. Whether desk, panel, or wall-mounted, they enable the user to fully utilize the vertical space above their desks. By taking filing, lighting and the general day-to-day clutter off the desk, SlatRail and Slatwall help create an organizational logic to a space.